Hong Kong – BlackBerry Limited (NASDAQ: BBRY; TSX: BB), a global leader in secure mobile communications, today announced that China Mobile Hong Kong Co., Ltd. (“CMHK”), the wholly owned subsidiary of China Mobile Limited, the world’s largest mobile network operator, is now offering BES12™ Cloud, a cloud-based enterprise mobility management solution that will provide easy management of iOS, Android™, Windows Phone®, BlackBerry® 10 smartphones and tablets, as well as a wide range of Samsung KNOX and Android for Work smartphones and tablets, to its enterprise customers. BES12™ as a cross-platform EMM solution, extends beyond EMM to communications, collaboration, and identity and access management within a secure enterprise mobility ecosystem to provide highly productive end-user experience. 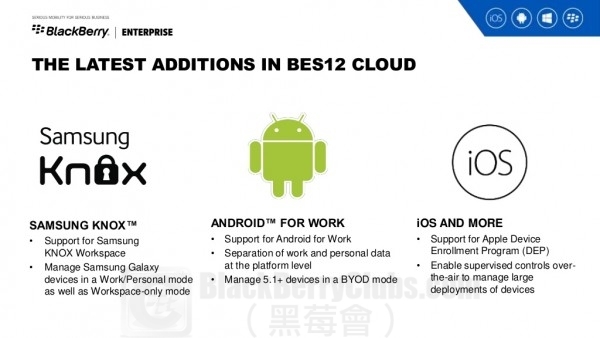 Now accessible in the cloud, BES12 at CMHK provides enterprise customers with more flexibility and variety in managing their mobile solutions while supporting a broad range of device mobility policies, all through a simple browser interface and without complicated or expensive server installs. Easy to get started and manage: BES12 Cloud provides a single end-to-end solution to manage your mobility across platforms. The subscription reduces internal server and infrastructure costs, while offering a scalable EMM solution that can evolve to meet your business needs. 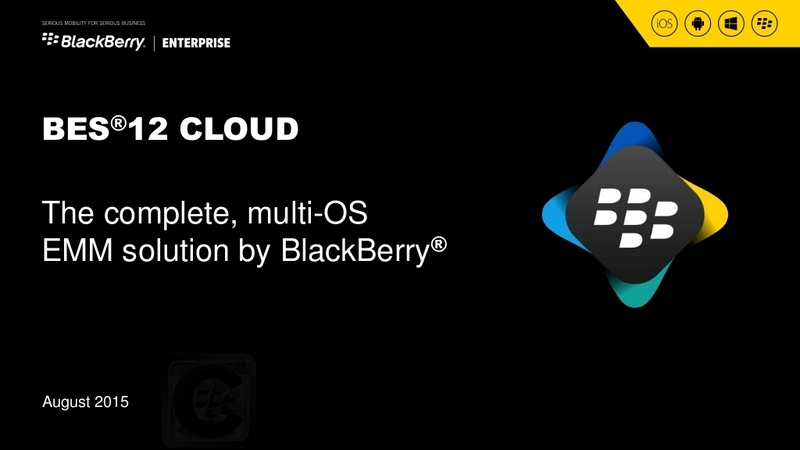 Flexible deployment options: BES12 Cloud supports different device ownership models and deployment scenariOS, including support for KNOX™ Workspace and Android for Work, and Apple Device Enrolment Program (DEP). Reliable and secure infrastructure: Built on proven security trusted around the world, BES12 Cloud lets you control permissions and policies by individuals/ groups across endpoints and apps, while protecting Privacy for employees. Protect all mobile content: Maintain complete control of business assets on employees’ mobile devices with management controls appropriate for your business and users. Security is extended through encryption, certificates and containerization capabilities. Robust Enterprise Mobility Ecosystem: BES12 Cloud offers you the foundation to extend your EMM capabilities beyond the management of devices and applications. 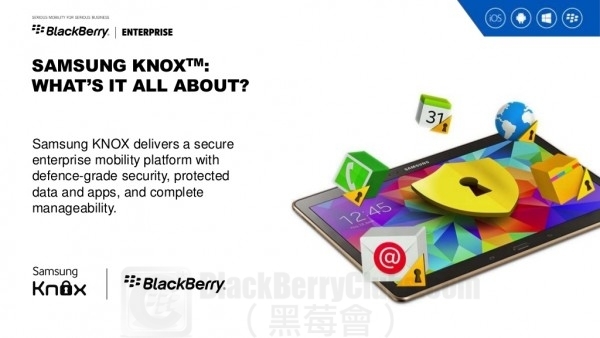 This entry was posted in [ BlackBerryOS10 News ], [ Exclusive News ], [ Hot News ], [ BlackBerryOS10 News ], BES News, [ Hot News ], Official News, [ Exclusive News ], Skill Tips, Tech News and tagged in Android, Android for Work, BES12, BES12 Cloud, BYOD, COBO, COPE, EMM, ESBL, Hong Kong, HongKong, iOS, Privacy, Samsung KNOX, Windows Phone, 中國移動香港, 企業客戶.